We could quote Bill Shankly here, but frankly it is not necessary. If you live and breathe football then you will want to incorporate the beautiful game into your holiday no matter what the occasion. It could be that your team are playing on the grandest stage of them all in the UEFA Champions League or you simply want to swap Barnet for Barca and catch a glimpse of the football culture of a different nation while you are on your summer break - it doesn't matter. If a cup of bovril with a steak and kidney pie on a cold Tuesday night down the Britannia Stadium is what tickles your fancy, or a paella and San Miguel at the Bernabeu - we hope to have something in here for everyone. Ajax's world famous De Toekomst (the future) academy has produced the likes of Johan Cruyff and Wesley Sneijder, talented graduates go on to play in the imposing Amsterdam Arena which is worth much more than a 90 minute gloss over. Manchester United's trophy cabinet alone justifies an Old Trafford Stadium Tour – the opportunity to stand next to Fergie’s statue and see why they call it the theatre of dreams make a visit an absolute must. During your travels you can see the exact seat where Lionel Messi takes his half-time orders from Tito Vilanova and understand why they call FC Barcelona “més que un club”– more than a club, by exploring the stadium and visiting the Catalonia region. Learn about the wildest football team in the Bundesliga whose badge consists of skull and crossbones with a trip to FC St Pauli found in Germany’s dynamic and much loved city of Hamburg. If during the summer you miss football THAT much – and watching paint dry appeals to you more than cricket you could always take a trip to South America. Catch a glimpse of the stadiums in Brazil that will be hosting the FIFA World Cup in 2014 or even see a competitive game of football during the summer season of the MLS in the United States – the fastest growing sport in the country. This year will also see the nation host the ninth instalment of the Confederations Cup featuring the best national teams in the world such as Spain, Italy, Uruguay, Brazil…..and Tahiti! 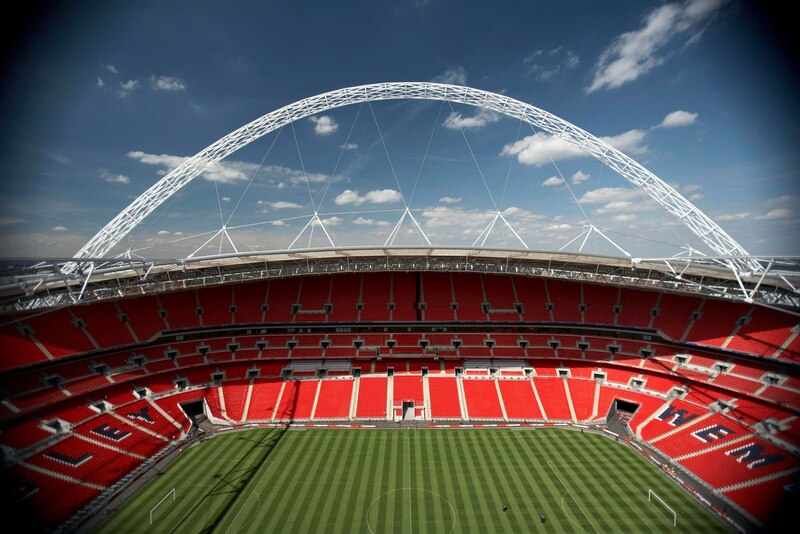 The UEFA Champions League final will be returning to Wembley Stadium for the second time in three years and a record seventh time overall (albeit we are counting Old Wembley in this figure). Meanwhile the old “Thursday night, Channel 5” may lack the glitz and the glamour of the Champions League but the venue certainly doesn’t. The Europa League Final takes place in the Dutch capital. If you fancy a more retro experience; head to the Caribbean where the Barbados Legends Soccer Tournament takes place every year. This event will take you back to the glory days of former greats with the likes of David Ginola flaunting their skills under the sun. Whether you are jetting out to follow your beloved team or want to know what it’s like watching the beautiful game played out in the scorching sun – put on your lucky jersey, grab your vuvuzela, and get your most banterous chants at the ready. It is time to discover the best football experience in the world.